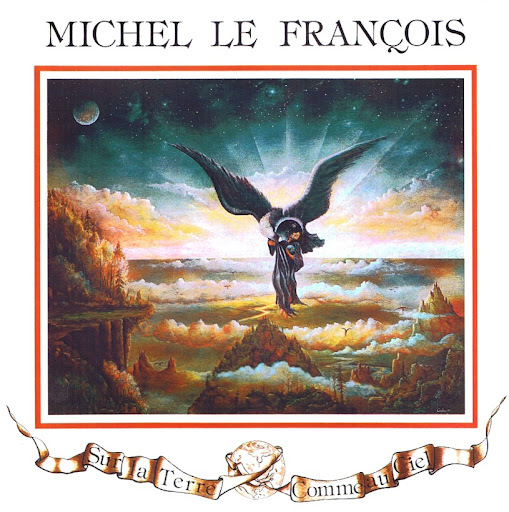 Michel le François seemingly only released one album before the '90s, 1979's Sur la Terre Comme au Ciel, which comes across as a bit of a stylistic mish-mash, to be honest. It starts well enough, with Chevaliers De l'Univers, which reminded me of Starcastle, oddly enough, which must mean it sounds quite a bit like Yes, I suppose. Être Avec Vous, however, is a fairly sloppy love song sung by a female vocalist, before the album swings back to prog, then proto-AOR, balladry, hard rock... It doesn't seem to be able to decide what it wants to be; diversity's fine, but this doesn't even sound like the same band half the time, but then I suppose that's often the nature of solo projects. 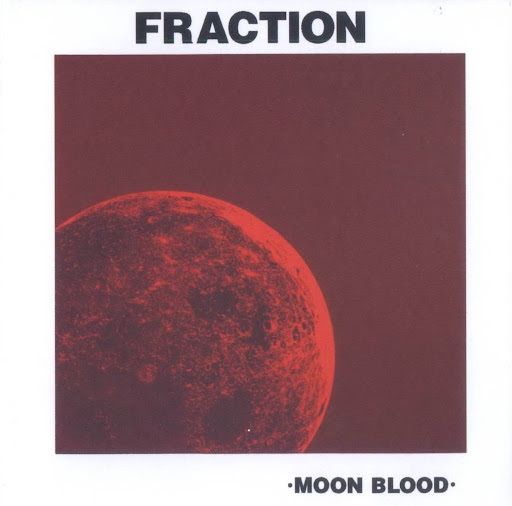 Anyway, there's a fair bit of Mellotron on the album, with five out of seven tracks smothered in strings and choir, although little of the use stands out as exceptional, to be honest. So; a reasonable 'Tron album, but a bit ropey on the musical front, with only two tracks (Chevaliers De l'Univers and Jardin De Crystal) that really count as 'progressive'. Don't spend a fortune. Another of those obscure groups responsible for an impossible-to-get private pressing (only 500 were manufactured!). 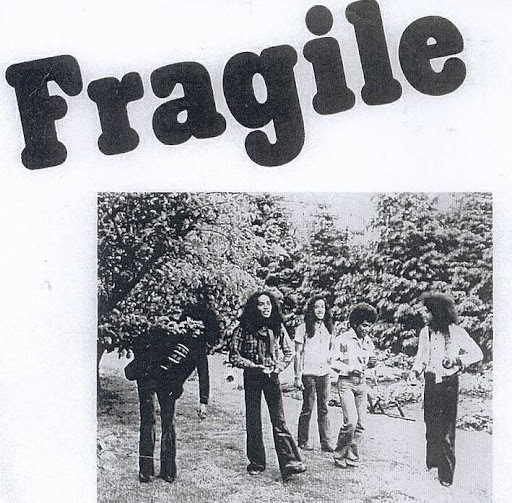 Fragile had a guitar-oriented heavy rock sound comparable to Cargo, Wishbone Ash, Night Sun and Epitaph. 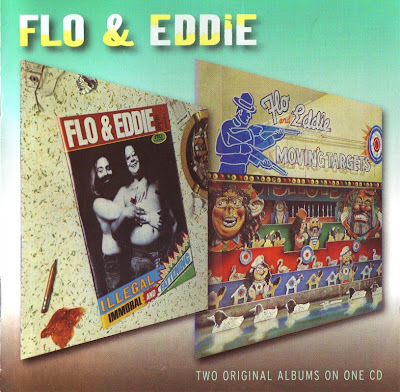 Their album was recorded in 1974, two years before it was finally released. This album, has some good guitar and Jim Beach's vocals are reminiscent of Doors, although he was singing on Sunset Strip long before Jim Morrison took to the stage. Sanc-Divided, which was also included on the album, can be heard on the Valley Of The Son Of The Gathering Of The Tribe compilation. 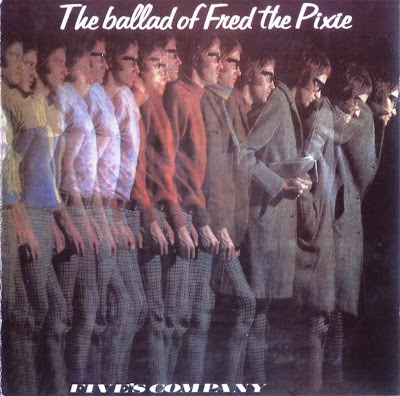 Jim Beach had earlier sang for Fever Tree, although he did not record with the band and Fraction also recorded two further albums, which remain unreleased. A group of good musicians who specialised in tuneful songs very much in the style of Nirvana or US bands like Phluph or Aorta and deserved more success than they achieved. Their recordings are now very rare and sought-after, but Butterfly, which typified their style with some exquisite guitar and sitar work. Not all the tracks on the album work well, though. Some, like Secondhand Love or Mr. Blank have intriguing melodies and nice organ/guitar interplay, while there also are mistakes such as Goodtime Music, which sounds like a parody of Them, but certainly is not. The most psychedelic track is Madame Magical (9’38") with metre-changes and funny organ. ~ (Vernon Joynson / Marcel Koopman). Kim Fowley is less important for what he's done than what he gets away with. Once described as "the king of rock'n'roll pimps," Fowley is a master manipulator of artists and creator--as writer/producer/entrepreneur--of hit records that are both crassly commercial and smugly subversive. Fowley first scored big in 1960 with the million-selling "Alley Oop," by the Hollywood Argyles. His career in the '70s involved orchestrating the careers of the Runaways, Quick, Orchids and Venus and the Razorblades; in more recent years he has successfully infiltrated the MOR world, working with Helen Reddy and Steel Breeze. In Fowley's defense, he was the first person to record Jonathan Richman and the Modern Lovers. Fowley periodically used to convince record companies to issue his own solo records. Over a dozen albums--ranging from psychedelic organ instrumentals to passable glitter pop--have been released since 1967, although he has refrained from making a new one for some time. Sunset Boulevard, like many of his records, is consumed with Hollywood pop decadence. Fowley's minimal singing talent--more like dry sing-speak dripping with cynicism--doesn't stop him from essaying a long Springsteenish piano ballad called "Black Camels of Lavender Hill" or copying the Music Explosion in his own song "Control." This outfit's main claim to fame was that it included Peter Banks who was once in Yes and also recorded a solo album in 1973 for Sovereign. Their albums were progressive rock in style comprising compositions with symphonic overtones, not unlike Yes. Tony Kaye had also been in Yes. He left to join Badger after the first album and they continued as a four-piece. Their music never sold in significant quantities here but in the US their first 45, Small Beginnings, got to No 29. Upon their demise, Banks recorded an album with Focus guitarist Jan Akkerman prior to his solo efforts. Hough resurfaced in the short-lived Fast Bucks. 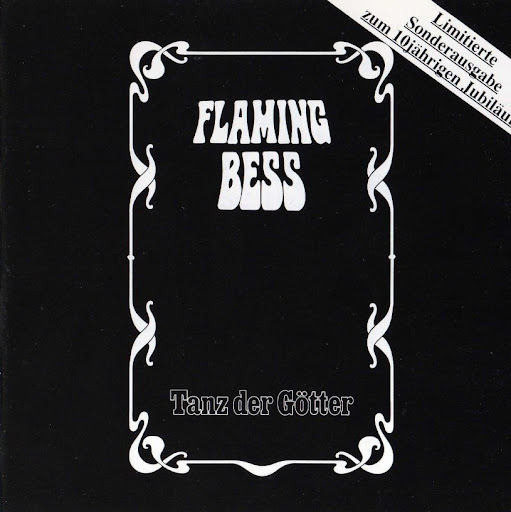 Formed 1969, in Düsseldorf, with the line-up of: Hans Wende (guitar), Horst Wagner (bass), Rolf Selbach (drums) and Peter Figge (keyboards), Flaming Bess went through many changes in the 10 years before they released an album. 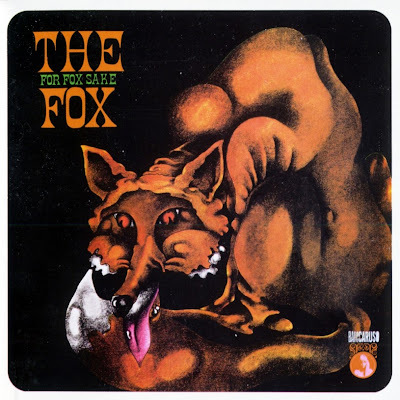 Only after a lengthy hiatus in the mid-1970's did they really attempt to get it together and break-out beyond occasional rehearsals and local gigs. They got their first break when featured on the music programme "Rockstudio" on WDR, and the interest generated led to them recording and self-producing their debut LP. TANZ DER GÖTTER is the elaborate and sophisticated progressive it was reputed to be, but not exactly the mixture of Eloy and Camel of some reports, but closer to Iskander and other indie prog bands of the era. A unique aspect (also used on some later records) is the narration in German, which occasionally punctuates the music, seemingly telling the legend of Flaming Bess. Their second album VERLORENE WELT, is quite different, as it presented a unique style that involved heavy rock numbers, with dramatic and operatic elements, a wealth of keyboards, and strongly featured guest female vocalist Marlene Krükel. Instrumentally they were superb, if a bit heavy in the song/lyric department. Peter Figge and Achim Wierschem continued with the band Key after this, eventually reforming Flaming Bess in the 1990's, releasing two different versions of the FATA MORGANA album, and a new album project in 2002. Peter Wahle also has his own projects Amigo News and Digitalis. Flamengo were among the leading late sixties beat bands in Prague. They released seven singles between 1967 and 1969. 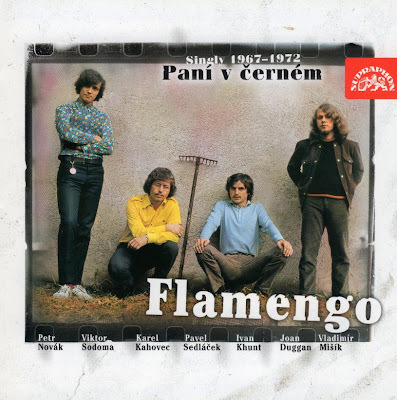 František Francl was their eminent guitar player at the time, gracing their material (most of which was self-written, although they also made a great cover version of John Mayall's "No Reply") with stinging fuzztone passages. The second part of their history started with the arrival of woodwind player Jan Kubík and Vladimír Mišík, who was previously vocalist and lyricist for Blue Effect. Kure V Hodinkách (1972) contained energetic progressive jazz-rock somewhere between Jethro Tull, Colosseum, Traffic and Cream. For some reason the Czech authorities found the lyrics too provocative and subsequently the record was banned. 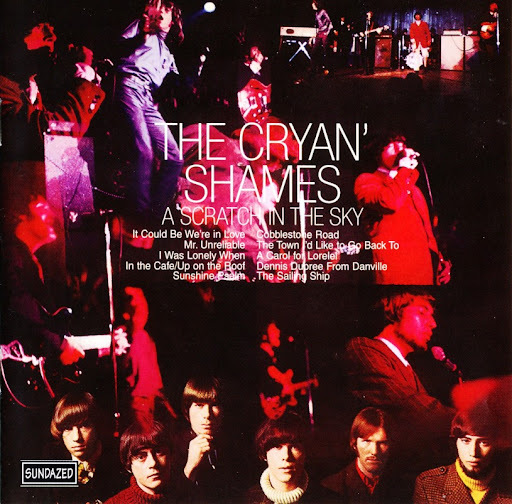 The second album by The Cryan' Shames. 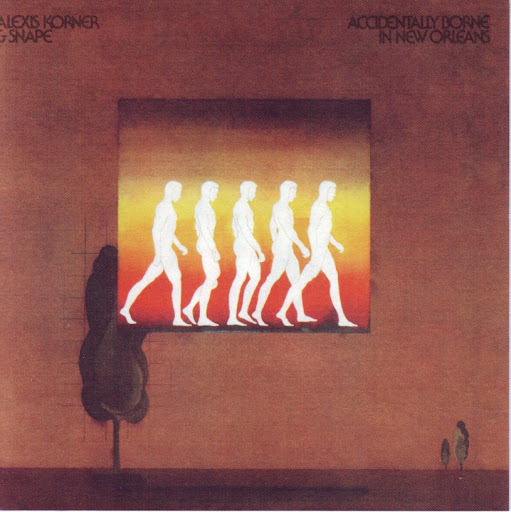 For this album, new members Isaac Guillory and Lenny Kerley join the lineup. Dave Purple and Jerry Stone are no longer listed on the credits. On their second album, the Cryan' Shames shifted from the heavy British Invasion and Byrds influences of their debut into a more California sunshine pop-flavored sound, without abandoning their debts to the Beatles and the Byrds altogether. On this second album, all but 2 songs are original compositions by Jim Fairs and Lenny Kerley. 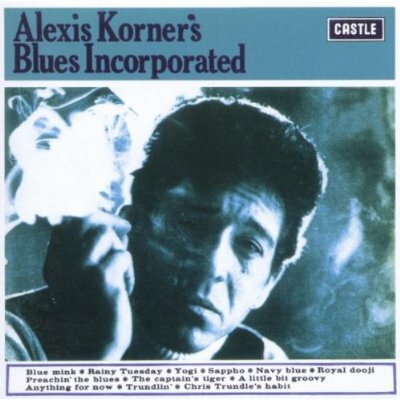 Alexis Korner and King Crimson (minus Robert Fripp) came together as Alexis Korner & Snape and recorded this 1973 Warner Bros. release. Guests include Steve Marriott, Patto members Ollie Halsall and Mike Patto & Tim Hinkley. This outfit is probably most notable for including Bob Brunning on bass. He also had his own Brunning Hall Sunflower Blues Band (which included Colin Jordan) and later joined Fleetwood Mac. Nowadays the album's probably of most interest to Fleetwood Mac completists. Session Man was a Kinks' number. 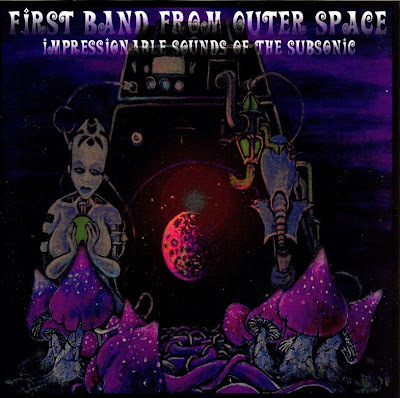 If you believe that "First Band From Outer Space" really is what the name says it is, then we'll tell you this story. We landed here on earth in the year 2002 and our base is stationed in Gothenburg, Sweden. The reason we came here is because we want to play rock music. Since we were unable to create sounds in the cold void of outer space, earth seamed like a good place to go. Our rock n' roll sensor controls locked on a part of earth called Scandinavia. The machine couldn't pinpoint any specific location for our rockin' to take place so we had to choose one ourselves. When we first landed and asked around, everyone suggested the town Gothenburg on the west-coast of Sweden. The word is that the town is famous for it's original sound of music and high regards for rock n' roll. Gothenburg became our natural choice.